Nanotron and Selectronic launch a mine safety collision avoidance solution | Location Running. 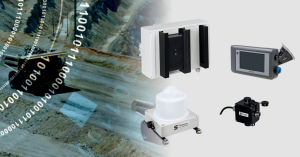 Berlin and Hünstetten, Germany, January 23, 2019 – Nanotron Technologies GmbH, a wholly owned subsidiary of Sensera Limited (ASX: SE1), and industrial safety solutions provider Selectronic have announced their first joint product: the PDS2400 Collision Avoidance Solution (CAS) for open-pit mine safety. The PDS2400 is an RF-based proximity detection solution that supports collision awareness and proximity warning between fast moving vehicles, as well as between vehicles and people. Unlike competitor solutions, it provides a turnkey, ready-to-go system, which requires zero calibration before use. The new solution helps mine operators ensure that they comply with all relevant safety legislation, such as Mine Safety & Health Administration (MSHA) regulations in the USA. The PDS2400 CAS solution includes state-of-the-art vehicle systems with Controller Area Network (CAN) bus-based displays and personnel tags with wireless Qi chargers, and operates for up to 50 hours between charges. The PDS2400 provides proximity alerts with two viewing options: quad sectors or hex sectors. The standard system provides an accuracy of 1m over long ranges of 100m or more, while an optional dual-mode tag can provide even higher accuracy down to 10cm at short ranges of 10m. For high reliability, the system provides robust resistance against electromagnetic disturbances, whilst the personnel tag utilises a ‘body pervasive’ antenna design. There are three adjustable warning zones, and the vehicle system provides ‘nuisance alarm suppression’ for the driver. The PDS2400 uses nanotron’s tag-ready swarm bee products, a family of smart RF modules with ready-made anchors. Swarm bee enables Selectronic to provide a modular solution, with a common pin-out and API, which simplifies development and hardware integration, and thereby greatly reduces time-to-market. With a coverage range of up to 500m, swarm bee modules can track objects with an accuracy down to 10cm. They provide a power-efficient approach that extends battery life of mobile devices and smoothly scales up and down to meet specific customer requirements. The new PDS2400 will be available in Q2 CY19 and will be presented at embedded world in Nuremberg (Germany), the leading international fair for embedded systems, distributed intelligence and the Internet of Things, on February 26-28, 2019. Ever since we were established in 1976, we have always been driven by the market, and have continuously developed and produced innovative safety solutions for industry, the authorities and mining. The quality of our products has always been a top priority. Whatever the job, we guarantee you problem-free processes, and service by motivated and qualified employees. We have even been certified for conformance with the DIN EN ISO 9001:2008 management systems and the ATEX 94/9/EC directive. See www.selectronic-funk.de.